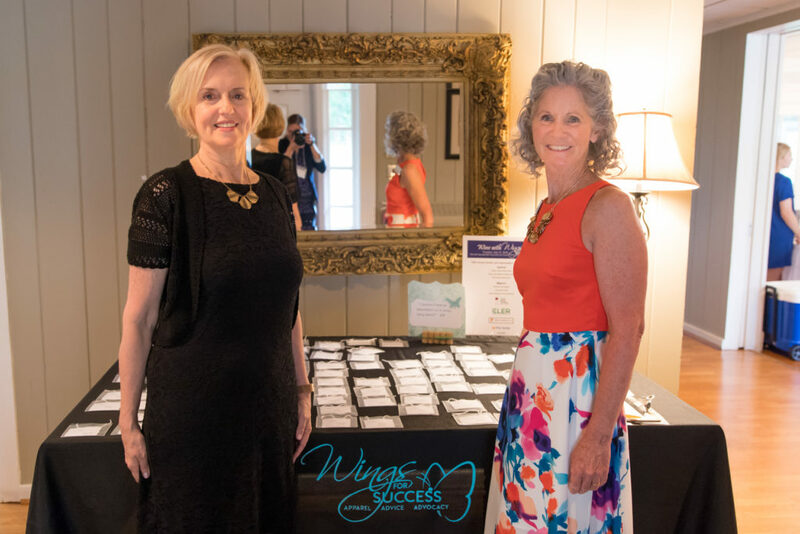 Wine with Wings 2018 a Success! 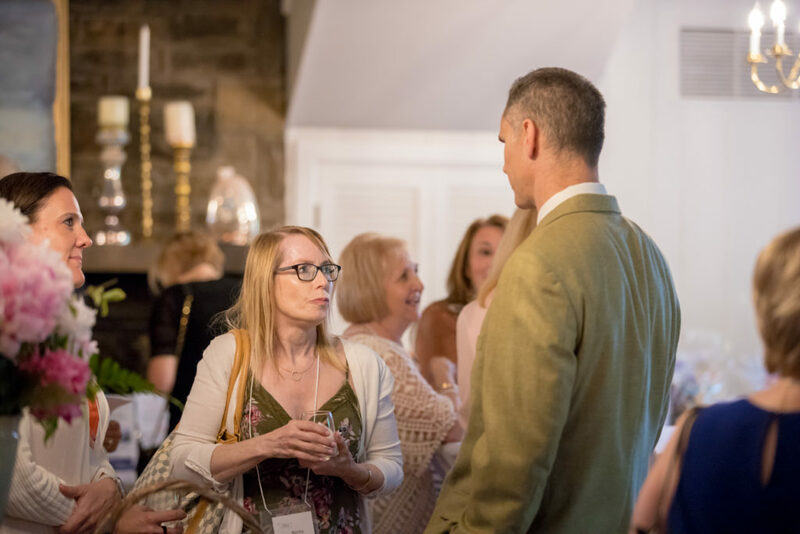 The success of any special event depends on the many guests, sponsors, donors and volunteers who contribute their time, talent, in-kind and financial donations. 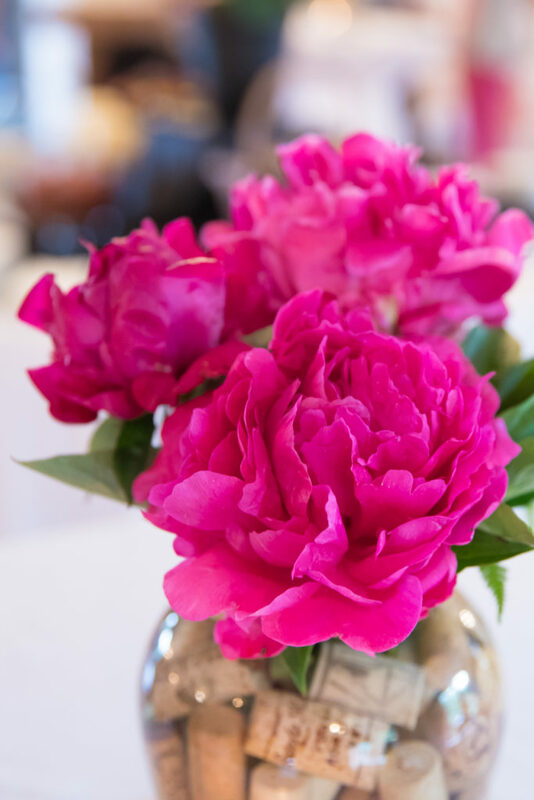 Special thanks to Wild Thyme, Centerville, DE for donating the beautiful peonies for our centerpieces. 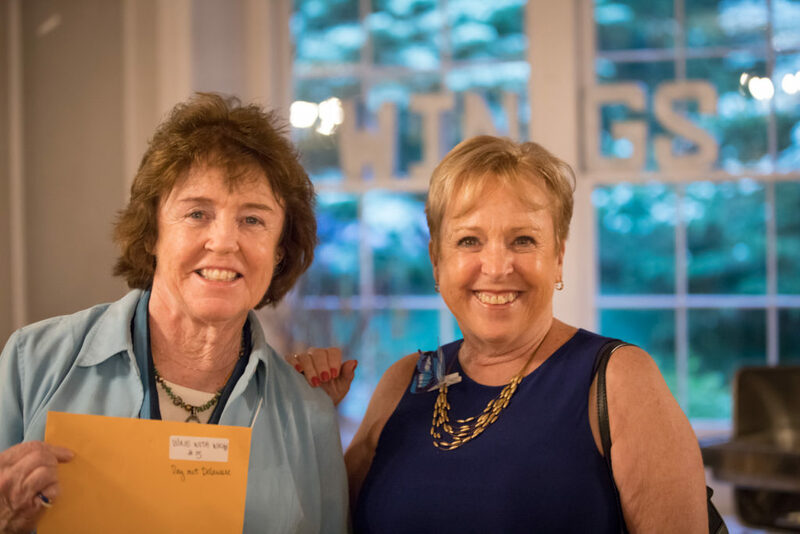 Wine with Wings 2018 Planning Committee – pictured left to right: Bonnie Long, Randi Bushner (co-chairs), Vicky Will, Christien Bass, Elisabeth Gibbings, Ingrid Lis (Program Manager, Kennett Square), Sally Rumer, Jane Masters, Diana Long-Hobbs, Mary Pat Knauss, and Pat Foell. 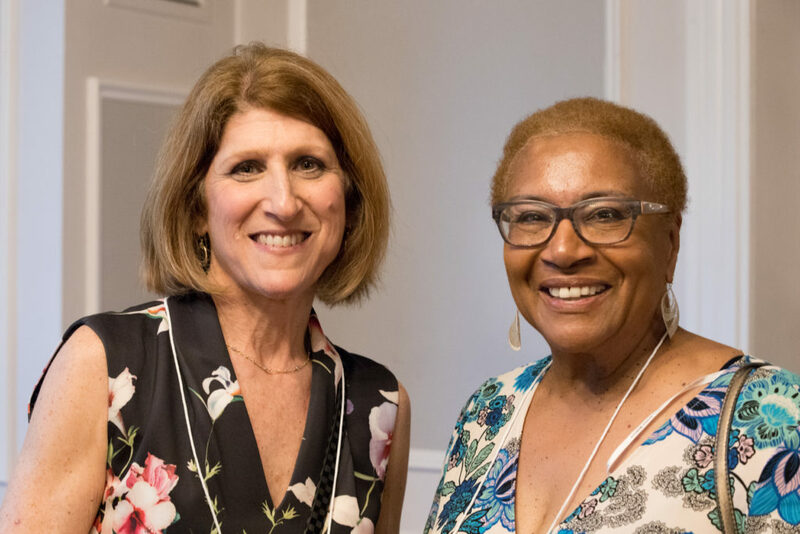 Mary Pat Knauss (L), member of the event planning committee and board member, with Toni Jaros. 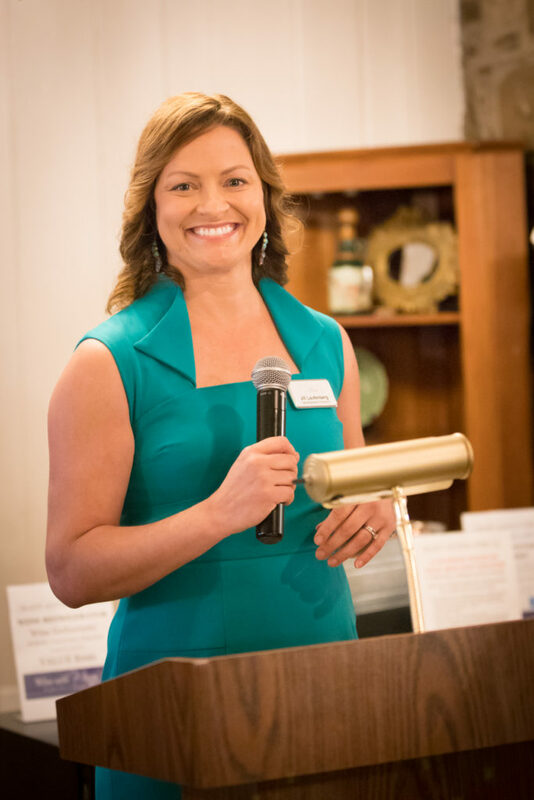 Jill Laufenberg, Associate Director of Development, led our first “Live Ask”, giving guests the opportunity to support our programs and services through personal donations. 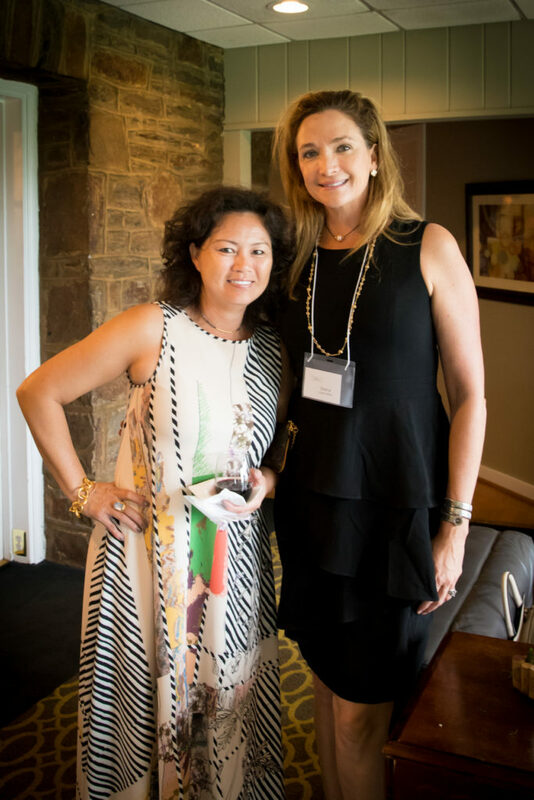 Guest, Tina Santaguida (L), and Committee Member, Diana Long-Hobbs. 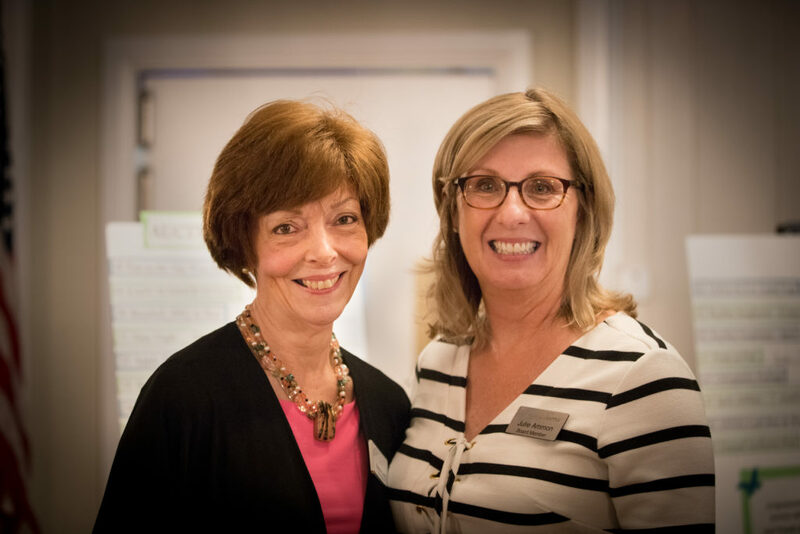 Bonnie Long, Co-Chair of the event (L) with Julie Ammon, Board President. Committee members Vicky Will (L) and Mary Pat Knauss host the registration table. 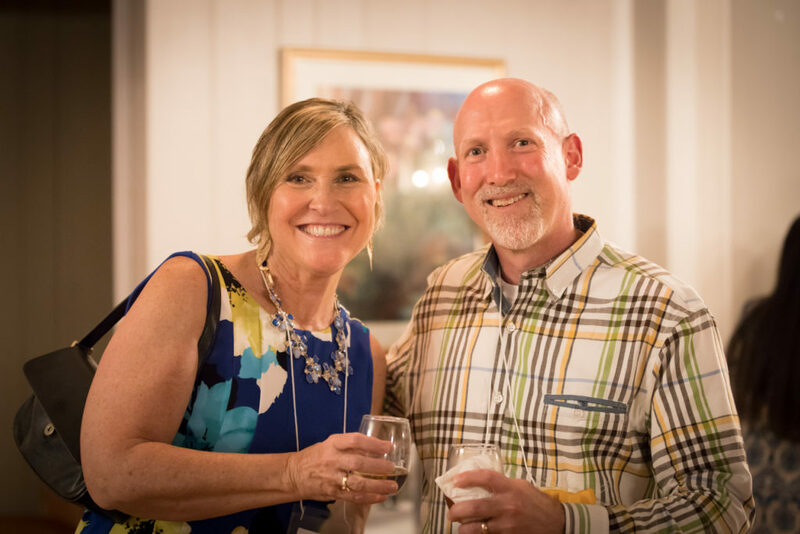 Guests Nancy Harris and Jay Bass. Guests Barb Curtis (L) and Cathy Campbell. 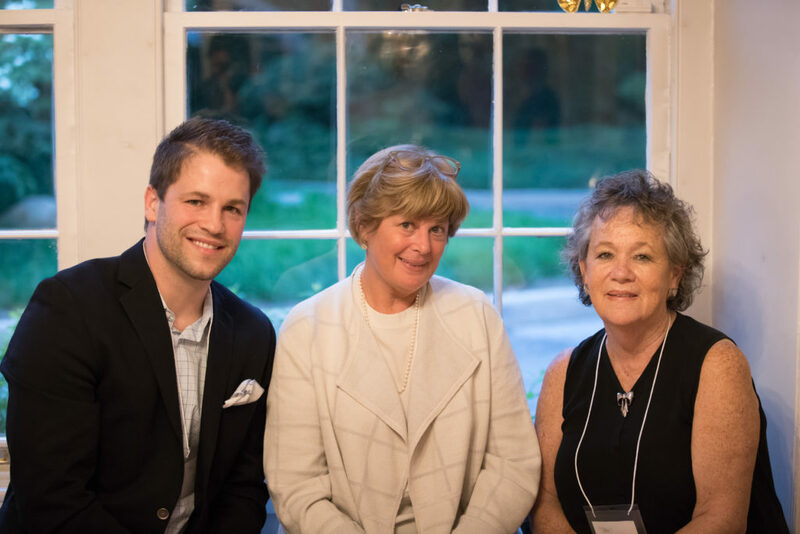 Ryan Derfler, from the Chester County Press with Barb Goetz (center) from Wild Thyme Flowers and Janet Dadds. 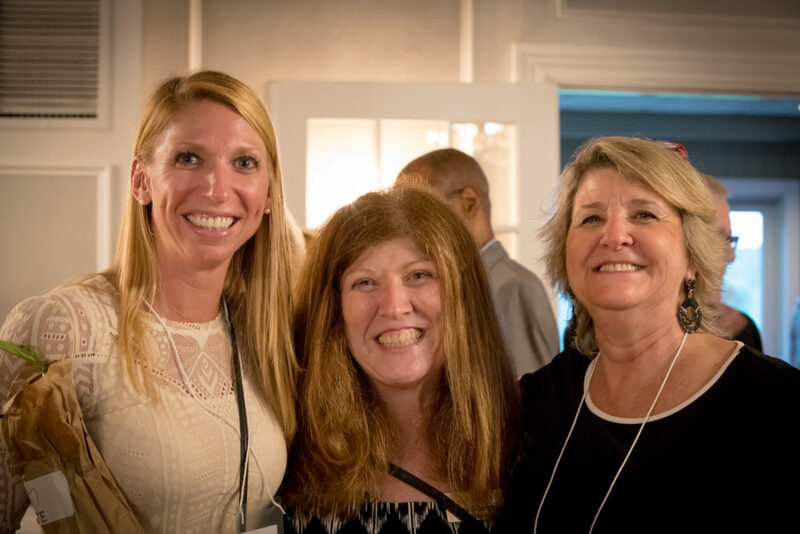 Dana Dovberg, Board Treasurer (center) enjoys the evening with guests Andrea Kinnik (L) and Linda Kinnink (R). 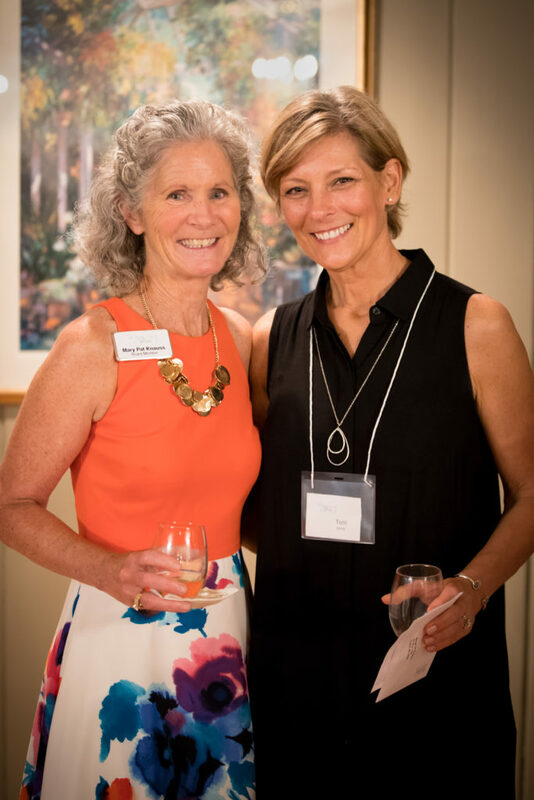 Randi Bushner (L), Co-Chair for the event and Connie Rose, Board Member. 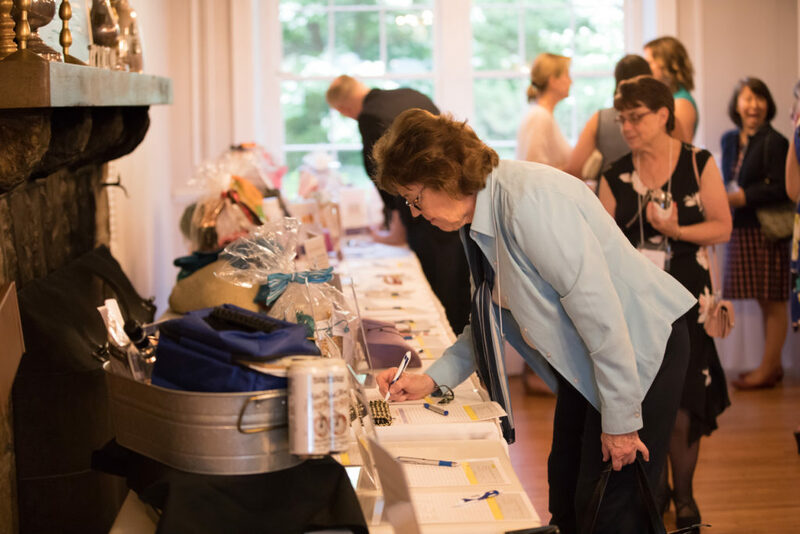 Guests had the opportunity to bid on more than 40 items in the silent auction. 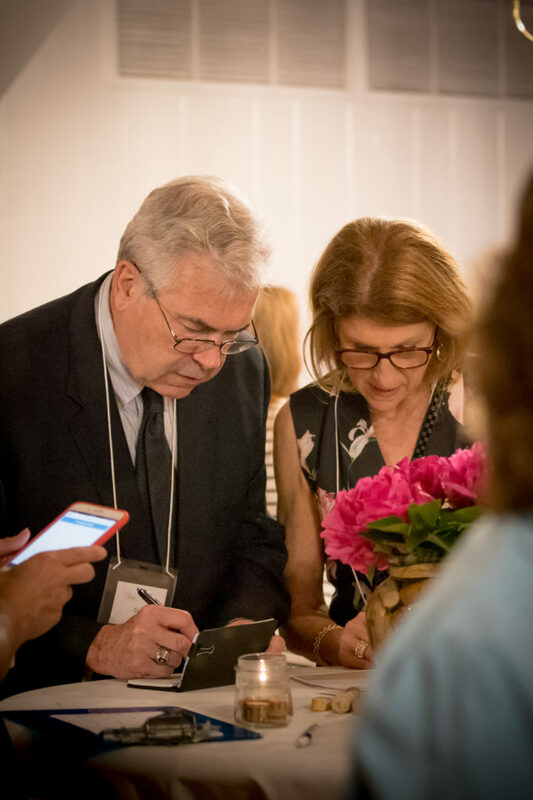 Guest, Becky Devestine talks with Board Member, Al Iaccoca. 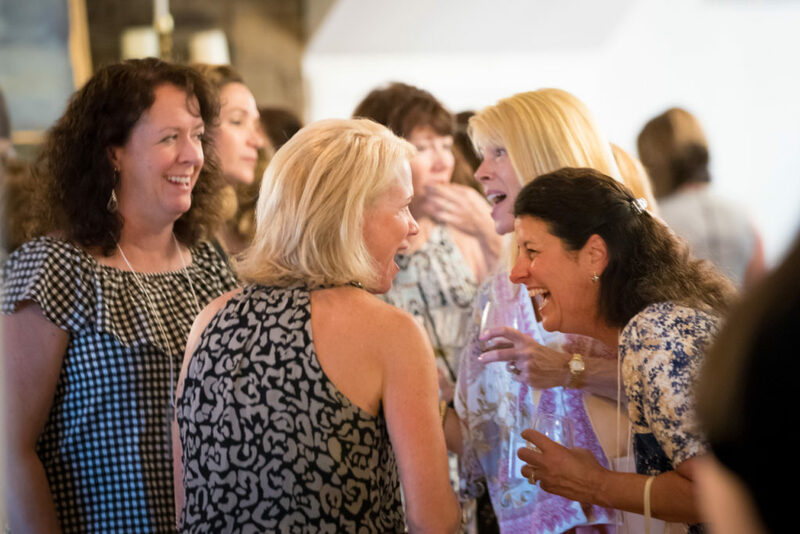 Committee Member, Jane Masters (foreground) having fun with (L to R) Meghan Lacey, Missy Nolan and Colleen Hanna. 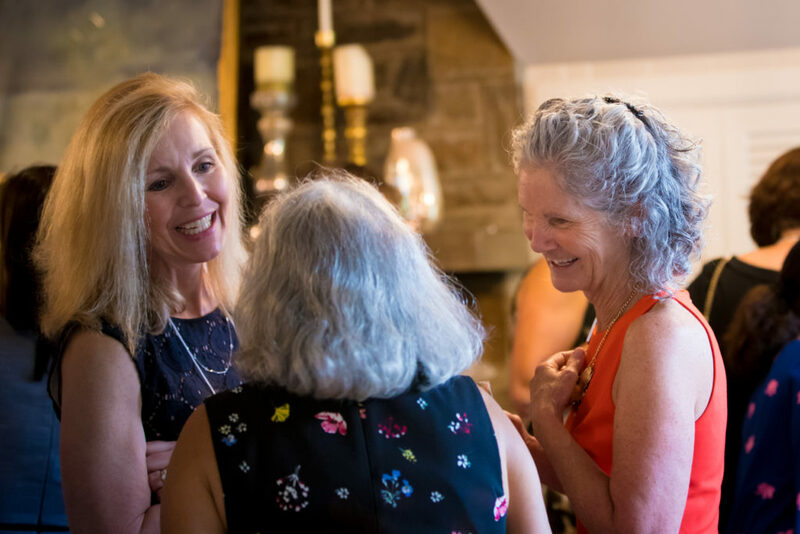 Committee Members, Christien Bass (L) and Mary Pat Knauss (R), chat with a guest. 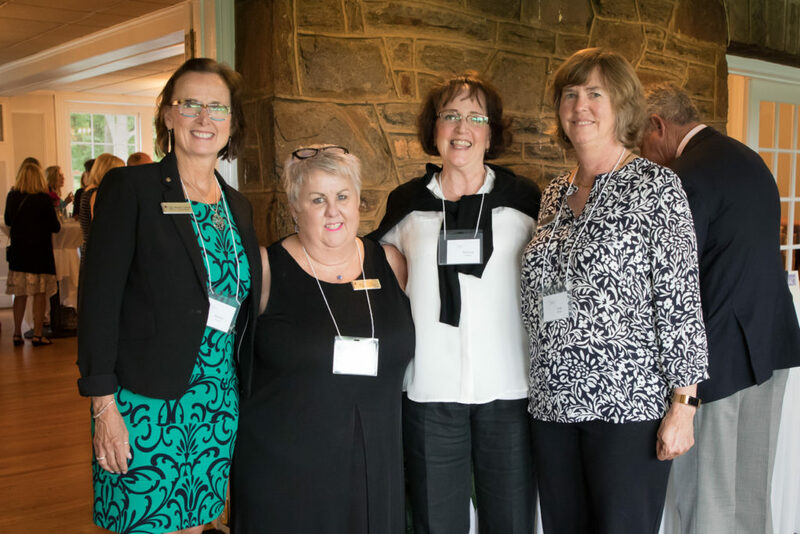 Members of the Chester County Women’s Commission: Wendy Leeper, Patti Ciuffetelli, Denise Baily, and Susan Wilson. 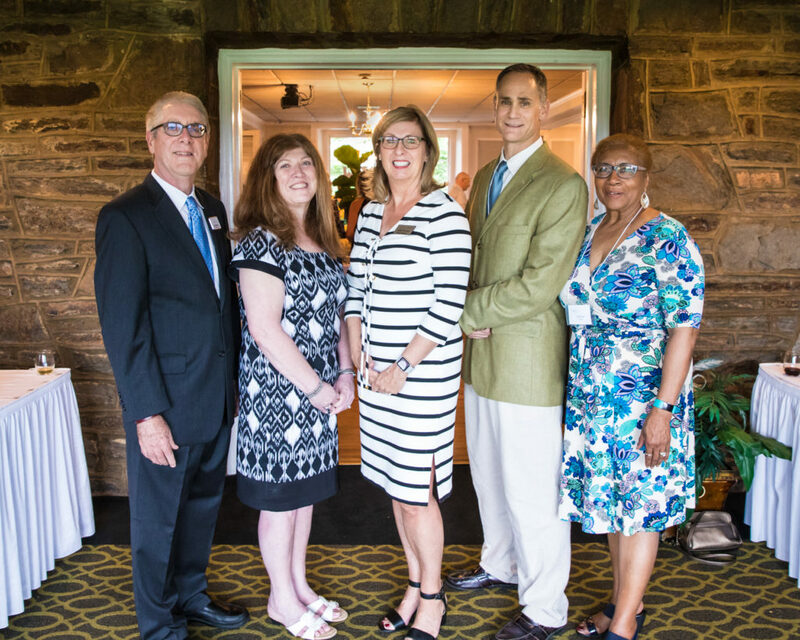 Board Members (from left): Dan Murphy, Dana Dovberg (Treasurer), Julie Ammon (President), Al Iaccoca, and Connie Rose. 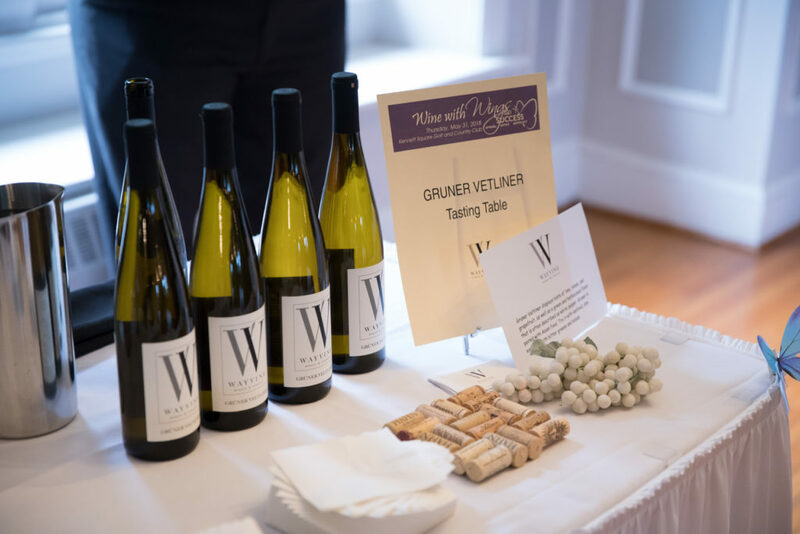 Guests sampled six wines from WAYVINE winery and vineyard, with food pairings. Jerry Long pays Randi Bushner at the silent auction check out. Beautiful peonies for our centerpieces were donated by Wild Thyme Flowers, Centerville, DE. 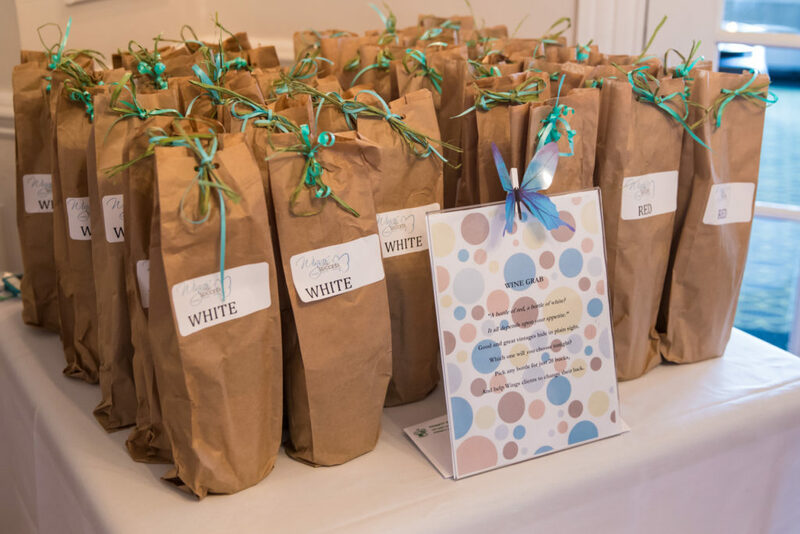 In our Wine Grab, guests bought bottles identified only as W (white) or R (red). Their surprise purchase was a good bottle of wine…or a very good bottle of wine.